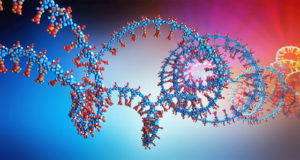 Part 5 in this Genomic Series will examine the types of biological questions and problems RNA-Sequencing can address fully or be a key aid in addressing, as well as those it cannot. The live broadcast will be taking place on Friday, August 22, 2014 at 1pm EDT. 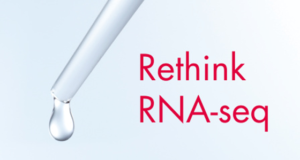 Although RNA-Sequencing is a relatively new methodology, with some of the first transcriptome-wide analyses appearing around 2008, RNA-Sequencing has rapidly evolved to become a standard assay for RNA measurement. In the last several years, assays have improved to be high throughput, more specific, work with smaller input amounts, process degraded RNA, and perform well with special tissues (eg, blood samples). On the bioinformatics side, there have been improvements in references, alignment, quantitation, and variant detection methods, and the development of specialized methods, such as transcriptome assembly, fusion discovery, infectious agent detection, and metagenomic expression. 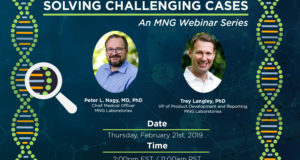 The presenter, Dr. Wendell Jones, Global Head of Genomic Bioinformatics at EA | Quintiles, will also examine some current limitations including that due to specific biases inherent to each protocol. 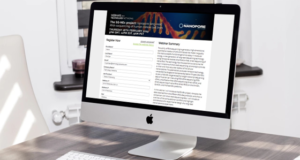 This webinar is part of a 5-part series on Genomics Know-How®. 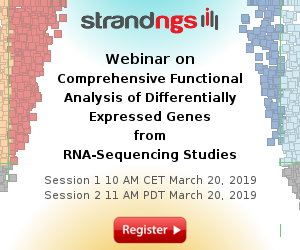 To register for this session or learn more about the series visit: Genomic-Know-How. Wendell currently heads the genomic bioinformatics organization at EA/Quintiles and has been a part of the EA team for over 12 years. His general interests are bioinformatics, statistical analysis and modeling, statistical graphics, and analyzing large datasets. Wendell has participated in several working groups and consortiums including the Sequencing Quality Control project (SEQC) and was heavily involved in the Microarray Quality Control (MAQC) project, serving as co-chair of the Clinical Working Group in MAQC Phase II. Phase II examined the capabilities of microarrays for predicting preclinical and clinical outcomes in complex diseases. Wendell’s current research interests include sequencing-based studies and clinical applications of RNA, miRNA, and DNA in addition to other genomics technologies. Wendell supports student research in biology and genetics as a faculty adjunct within the School of Medicine at University of North Carolina at Chapel Hill.